Wow! 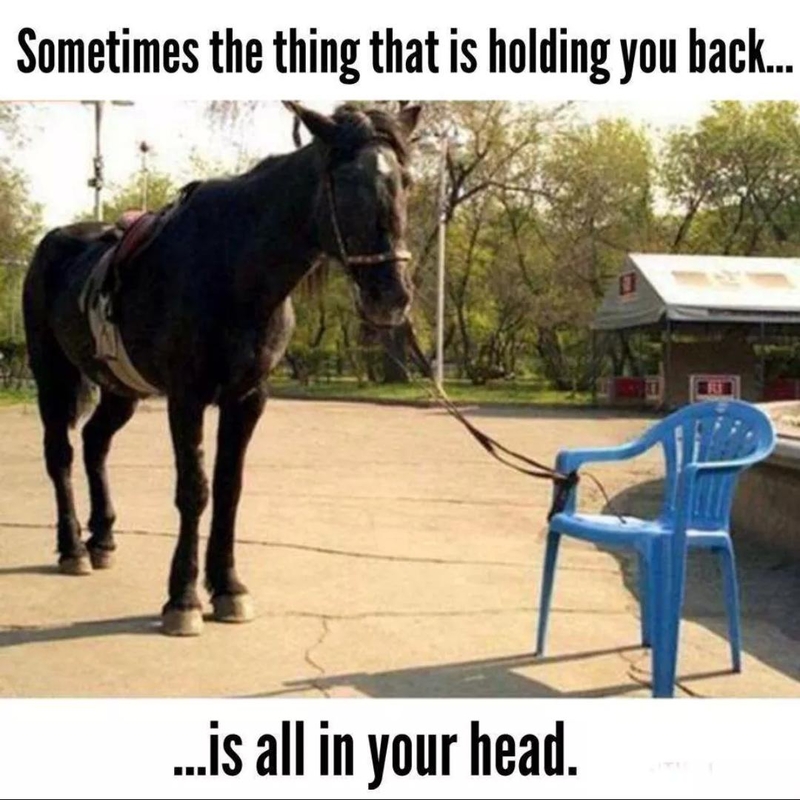 This simple and seemingly pretty funny picture of a horse that is tied to a chair and itself thinks it can move because of it, is actually a deeply profound image. The horse doesn't realize that it is only tied to a simple light weight chair and that at any moment it can break through, because after all, it is a powerful horse. In much the same way, we often times hold ourselves back from our true potential simply because we think that we can escape and break through. So in all things in life make sure to open your eyes and see the obstacles in your life for what they truly are, and often times, those obstacles are just merely in your head. So don't let yourself hold yourself back!